Since returning from Tokyo and Kyoto, I’ve been suffering from full fledged Japan withdrawal. The millions of twinkling lights, throngs of (usually) adorably dressed young people, lucky cats, Hello Kitty, sushi shaped like teddy bears and the ability to make damn near everything unbearably cute, brought me to Marukai Market in Little Tokyo. 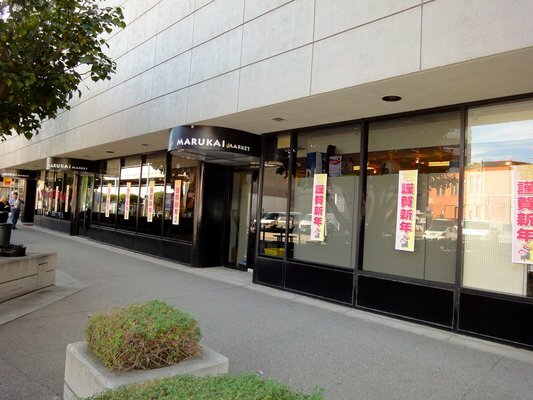 Located in DTLA’s Weller Court complex, Marukai Market offers a delicious taste of Japan — complete with crowds and hard-to-find parking. 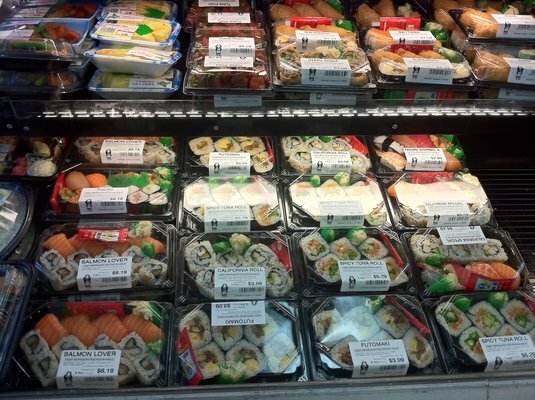 While there’s an underground lot, these coveted spots are nearly non-existent during lunch time..but it might be worth the struggle considering the huge selection of fresh sushi and hot dishes, most for just a few bucks. But let’s get real. 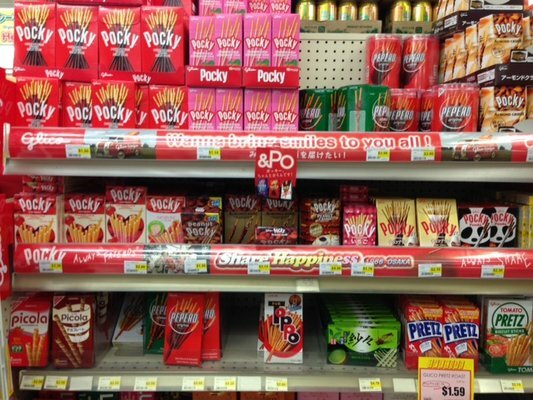 I was there for two things and two things only: Japanese snacks and Spam. The saddest part about returning to L.A. was knowing that matcha-flavored treats (powdered green tea) would be no more. Even Starbucks Japan had a Matcha Latte so delectable that there’s no other way to describe it other than liquid crack. 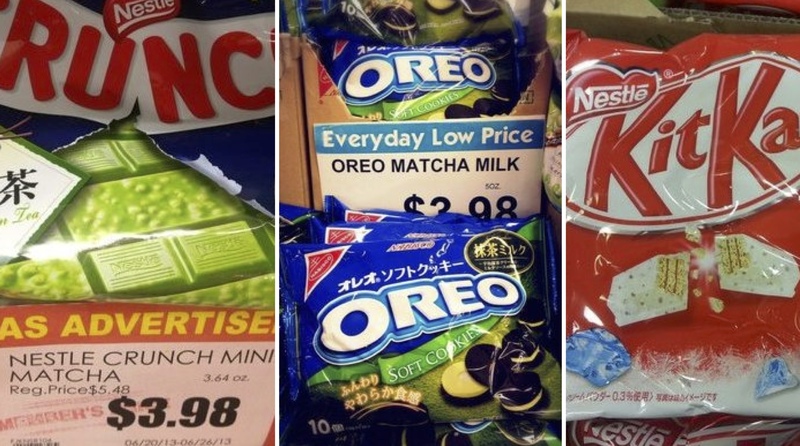 Sadly, Marukai doesn’t prepare these steaming hot libations, but they did have matcha Oreos, Kit Kat, Nestle Crunch, Pocky and the you-can’t-just-have-one: matcha mochi balls. They also have tons of shrimp chips and seasoned seaweed snacks. Then there’s Spam. Don’t judge. Love of Spam is nearly universal among Asians and I’m no exception. I heard a rumor that Marukai had a selection of Spam so mammoth, that planning a trip just to stock up counted as a legitimate weekend activity for some. When I turned down that aisle, my eyes made a beeline for the bottom row. 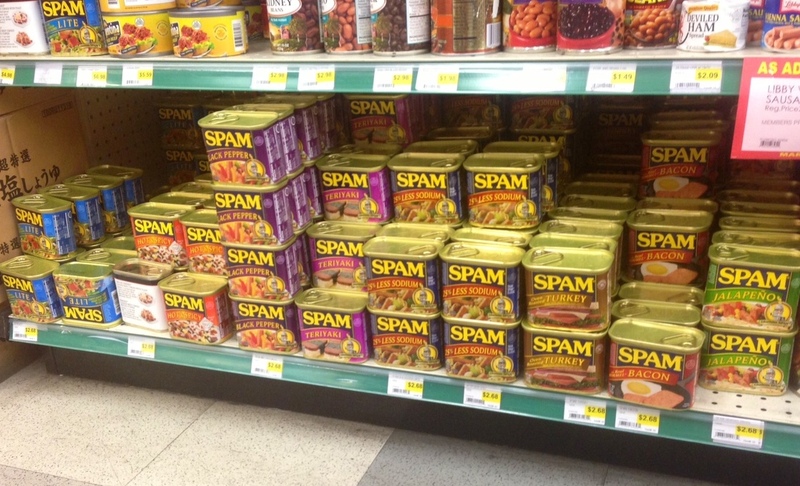 It was at that moment that everything around the Spam cans went foggy, like an Instagram filter. Needless to say, I stocked up–so much so that the 8 varieties of Spam I bought displaced my sad little stash of granola bars and flaxseed used for juicing.